Winchester wins The Sword Dancer Invitational Grad I race at Saratoga Race Course in Saratoga Springs, NY on Saturday, August 13, 2011. 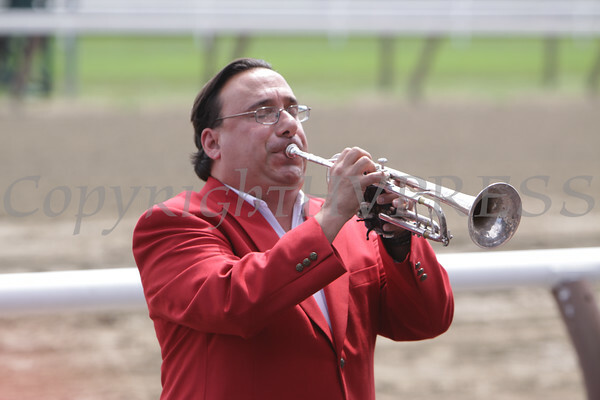 The official Saratoga Race Course bugler signals the start of The Sword Dancer Invitational Grade I race at the Saratoga Race Course in Saratoga Springs, NY on Saturday, August 13, 2011. Hudson Valley Press/CHUCK STEWART, JR.